Learning off the Beaten Path: Learning that lives online lives on. Learning that lives online lives on. 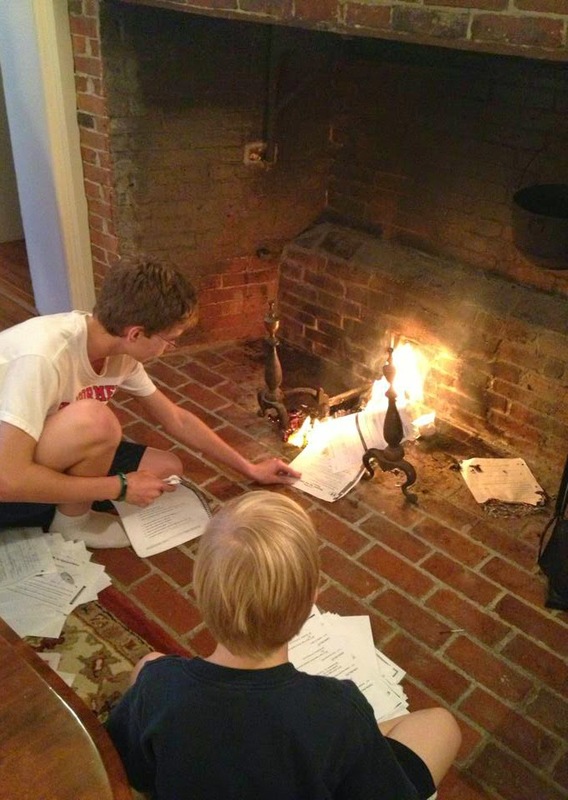 In 2013, a friend shared on Facebook his family's June ritual of "the annual burning of school papers." As a former student, I can empathize with the simultaneous feelings of exasperation, catharsis, and celebration. And yet, as a current educator and learner, I can't help but feel sad about this sight. School, education, learning... shouldn't and doesn't have to be this way. My thoughts today are the result of having been able to attend EdTechTeacher's Boston iPad Summit this past week. In addition to connecting again with some wonderfully dedicated educators (and running into my hero, David McCullough, on Newbury Street), I was reminded of the myriad ways we can use current technologies to motivate and engage students creatively in unprecedented fashion. Today's students can seek out and identify real-world problems and work to create actual solutions that are shared with a wide -- potentially global -- audience. Learners can welcome feedback from peers worldwide who care about their work. Students' efforts don't have to be solely subjected to the exclamation point-laden, red-pen scribblings of the adult in the front of the room. In the words of social studies teacher and presenter, Shawn McCusker, "The destination of a student's work should not be a pile." Amen. Not a pile on a teacher's desk and certainly not a pile of ashes. This I've come to know: Learning that lives online lives on. And whenever possible and meaningful, I believe we as educators should do what we can to direct it there. Impressive work. As you might imagine, this video soon garnered a number of hits. Motivated by her growing audience and impact, the student asked her teacher if she could keep working on the project. "Please may I keep working on this..." About how many flammable worksheets has a student made this request? Fewish, I would guess. To date, this student's video project has gotten more than 60,000 hits. And it continues to be a top Google search result for the topic, even above Wikipedia. Though Shawn now teaches at a different school, his former student still contacts him each time her video reaches a new milestone. Her work, and I hope her love of learning, is living on. I share these thoughts not to bash one medium over another; a thought-provoking question written on a piece of paper or a whiteboard (or a stone tablet) can be a powerful catalyst for inquiry. And yet, I'm realizing when it comes to learning how much the destination can affect the journey. I am in my sixth year of a teaching a technology course for ninth graders that I developed from scratch, and I'm still seeking to improve it. At every turn, I hope I can better design my students' learning so that what's ignited is their imagination year-round instead of their work come June. And I hope that any previous fireplace rituals are replaced by fireside showcases of the efforts in which they take pride. And there should be s'mores. Because, well, they're delicious.